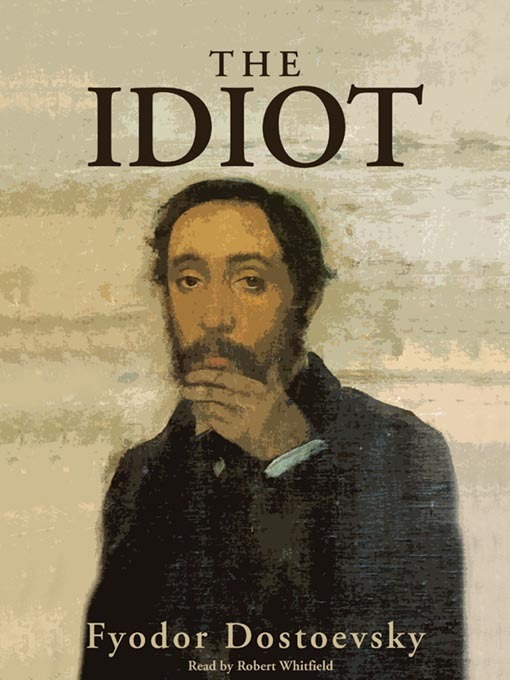 The Idiot is a book by Russian novelist Fyodor Dostoevsky (b. 1821, d. 1881). The story begins with Prince Myshkin returning to St. Petersburg from Switzerland. Myshkin convalesced there because of fragile health. Having recovered, he hopes to go on with life as peacefully as possible. But on re-entering Russian society, he finds a socio-political clash. On the other side are the liberal progressives. This is the group that would eventually lead the Bolshevik revolution and transform Russia into a communist state. The progressives aren’t nobility and are atheists. They feel Russian society—especially the aristocracy—has cheated them out of the economic resources they have a right to. Religion is merely another prop of privilege. Dostoevsky memorably describes one progressive in this way: “There was not a trace of irony or introspection in his face, nothing but a complete blank conviction of his own rights; and, at the same time, something like a strange and incessant craving to be and feel insulted” (The Idiot, Part II, ch. 7). Myshkin, a sensitive, loving soul, makes friends on both sides. He is more dedicated to authentic relationships than ideology. But this doesn’t win him friends in return. The aristocrats see him as naïve and use him for their own gain. The progressives attack him because he won’t disavow aristocrat friends. Myshkin is caught in the cross fire. His health deteriorates. At the end of the book he suffers a catastrophic breakdown. He returns to Switzerland a destroyed man, beyond recovery. Myshkin is clearly a Christ-figure. Like the aristorcrats, he is a Christian. Unlike them, he is committed to walking as Jesus did (1 John 2:6). Christianity is another social prop to the aristocrats, quickly discarded if it doesn’t help their advancement. But Myshkin lives Christianity even to his own harm. Myshkin shares progressives’ concern about economic disparities. He sees that aristocrats are sometimes out of touch with those who lack their advantages. He sees the complacency with which the aristocracy regards injustice, a complacency out of step with their faith. But Myshkin is unable to join the progressives in sanctimoniously denouncing the aristocracy. He rejects the language and philosophy of class-warfare; these dehumanize aristocrats and justify blanket hatred. Historically, such sentiments surged into bloody revolution—progressives took by force what they hadn’t been given. It gives me pause to notice parallels between the socio-political climate of pre-communist Russia and modern America. Many of the political rants Dostoevsky puts in the mouths of progressives could just as easily be heard from liberal Democrats in my country. The culture of entitlement, offense, and class-warfare Doestoevsky paints is stoked by leftist bellows today. Movements like “Occupy Wall Street” suggest that such embers could burst into destructive flames at any time. America is also no stranger to religious conservatives whose God is on their lips but far from their hearts. Some are more passionate about decrying godlessness and liberalism than meeting human need. Their allegiance to Christ is little more than cultural; it has more to do with how their parents raised them than how Christ raised them from the dead. Some see economic advantage as God’s approval of their way of life. But Jesus said the rain falls on the righteous and the unrighteous alike (Matt. 5:45). The call of God in such a socio-political climate is the same as Myshkin models. Love God and love your neighbor as yourself—be that neighbor progressive, conservative or otherwise. This isn’t a mushy embrace-all kind of love. It’s a love that embraces yet challenges, builds up and tears down. It is, above all, a love more concerned with others than its own rights—whether civil rights or birthright. Jesus said, “No one has greater love than this, that someone would lay down his life for his friends” (John 15:13). Those that believe in a socio-political solution to the human condition are too clever for the kingdom of heaven. God is looking for idiots, people just foolish enough to deny themselves, take up their cross, and follow Him (Luke 9:23).